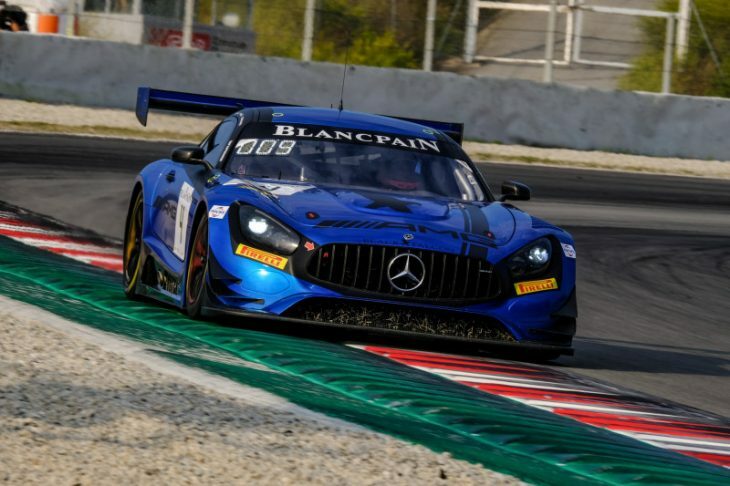 Victory at the final round of the 2018 Blancpain GT series initially went to the #4 Mercedes-AMG Team Black Falcon Mercedes-AMG GT3 driven by Maro Engel, Luca Stolz and, bringing the car home, Yelmer Buurman, who crossed the line 1.733 seconds ahead of Tristan Vautier in the Mercedes-AMG Team Akka ASP Mercedes he shared with Daniel Juncadella and joint drivers championship leader going into the final race, Raffaele Marciello. 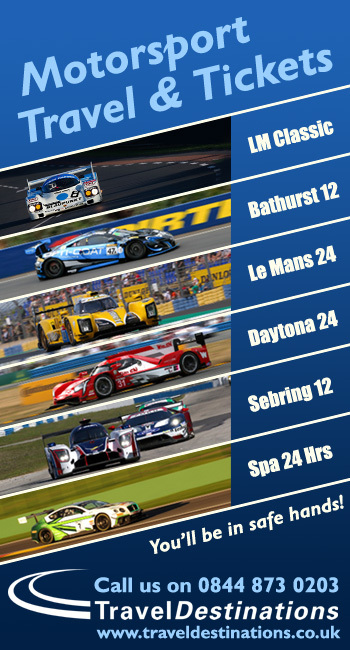 However, some three hours and forty minutes after the end of the race, the stewards announced that the #4 Black Falcon entry had been disqualified. “The Technical Delegate reports that there is black tape present on the chassis air inlet of car 4 which is not present on the FIA homologation #042 for this car. The stewards have viewed photographic evidence of car 4 and compared this with the engine compartment on the Homologation Form #042. 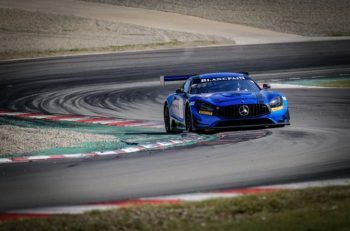 They have summoned and heard from the competitor’s representatives who acknowledge the presence of the tape but state that this has been normal practice for the team to present their cars in this condition since running Mercedes AMG cars and that no performance advantage is gained. Black Falcon has a right of appeal. The win for the #4 car meant that Stolz, Engel and Buurman had won the Blancpain GT Series Endurance Cup Drivers Championship on 73 points, six points ahead of Sprint Cup drivers champion Raffaele Marciello. 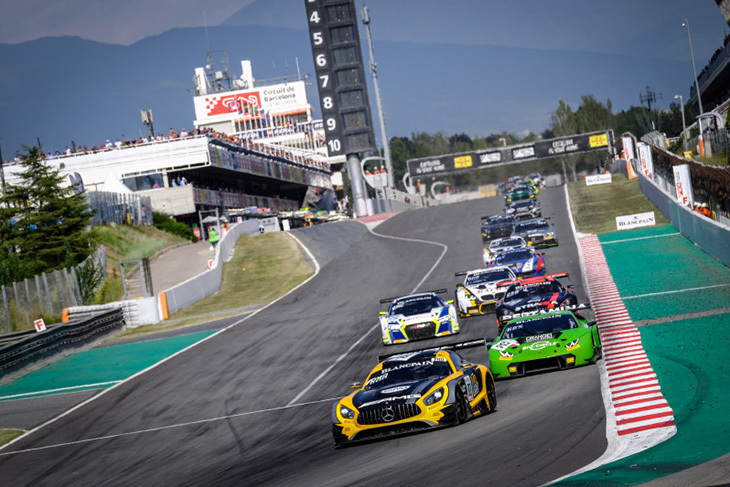 However the disqualification now puts the title in doubt, Marciello takes the win provisionally. 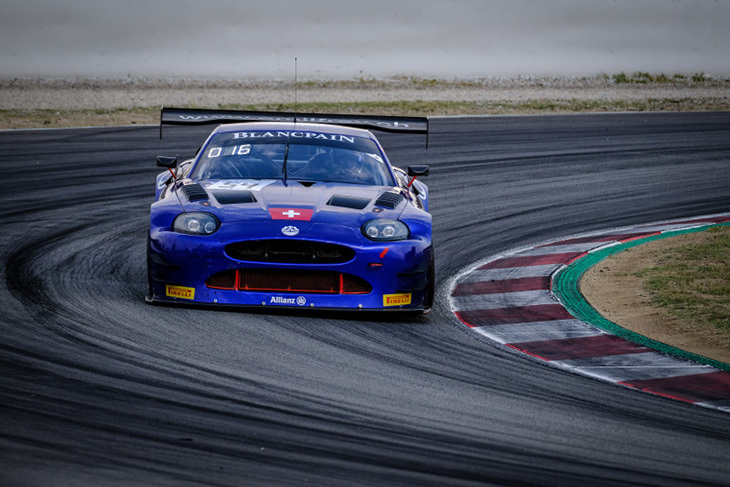 The #54 Emil Frey Jaguar Racing G3 Jaguar, racing in the Series for the final time, piloted by Alex Fontana, Adrian Zaugg and Mikael Grenier, won the Silver Cup category ahead of the #12 Ombra Racing Lamborghini Huracán GT3 driven by Romain Monti, Andrea Rizzoli and Alex Frassineti. 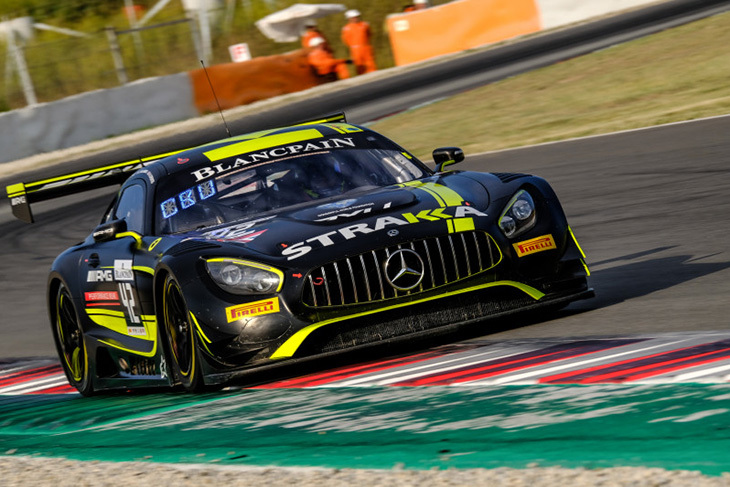 Third in the Silver Cup class went to the #90 Akka ASP Team Mercedes of Jules Szymkowiak, Jack Manchester and Nico Bastian. Victory in the category meant that the Silver Cup drivers title went to the #54 Emil Frey Jaguar Racing crew of Grenier, Zaugg and Fontana. 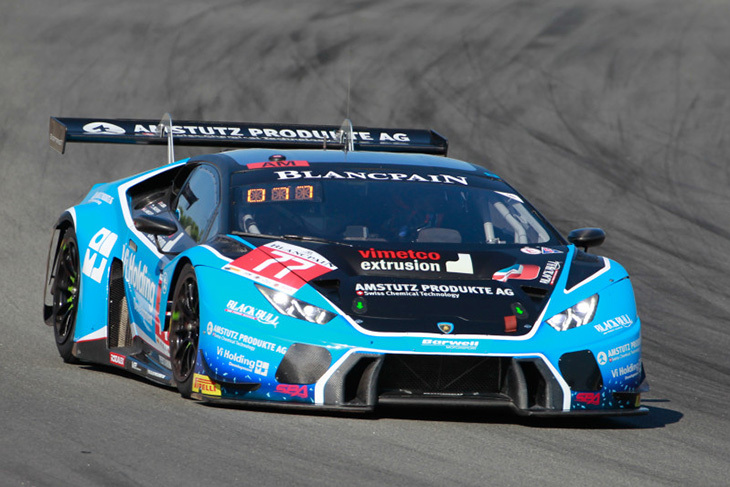 The AM Cup category was won by the #77 Barwell Motorsports Lamborghini of Adrian Amstutz, Leo Machiski and Richard Abra with the honours in the Am Cup drivers championship going to the Barwell pairing of Amstutz and Machiski.